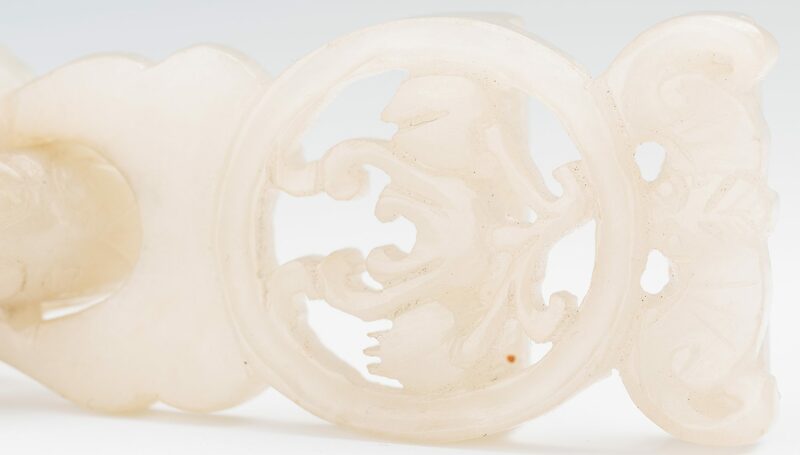 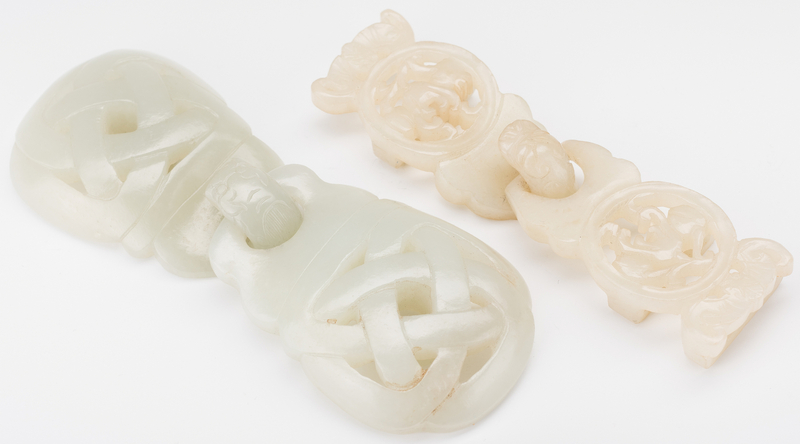 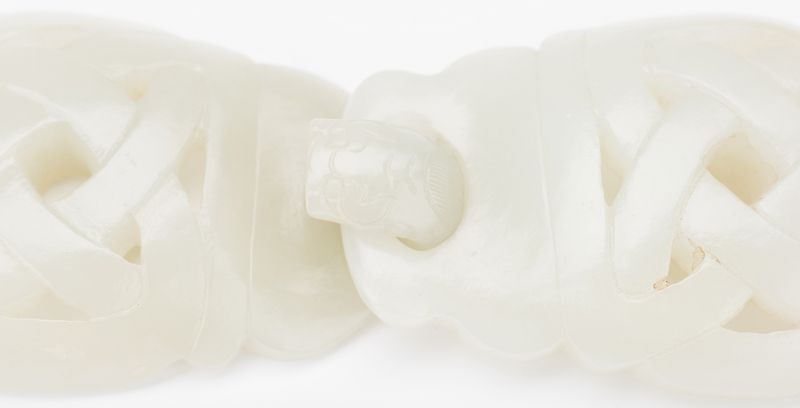 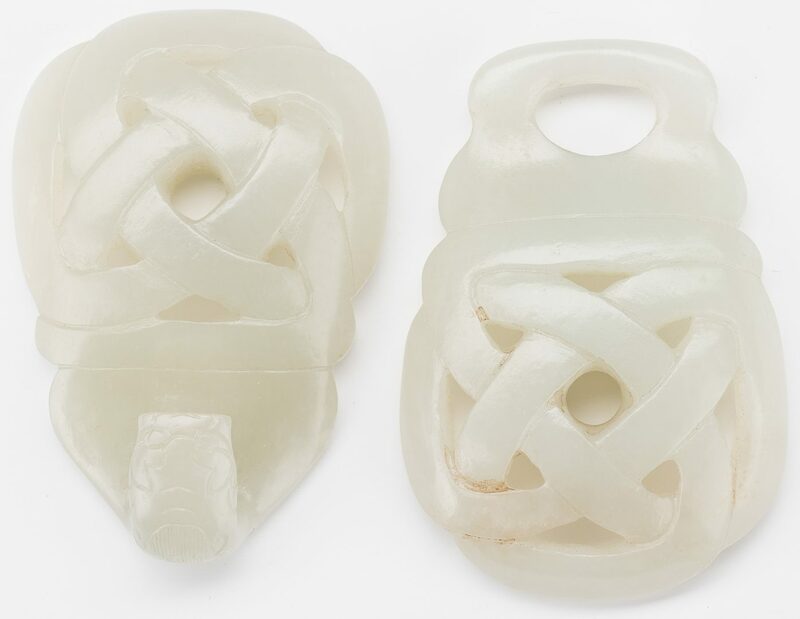 1st item: Chinese carved pale celadon jade double belt buckle, pierced with knot design, chilong dragon hook. 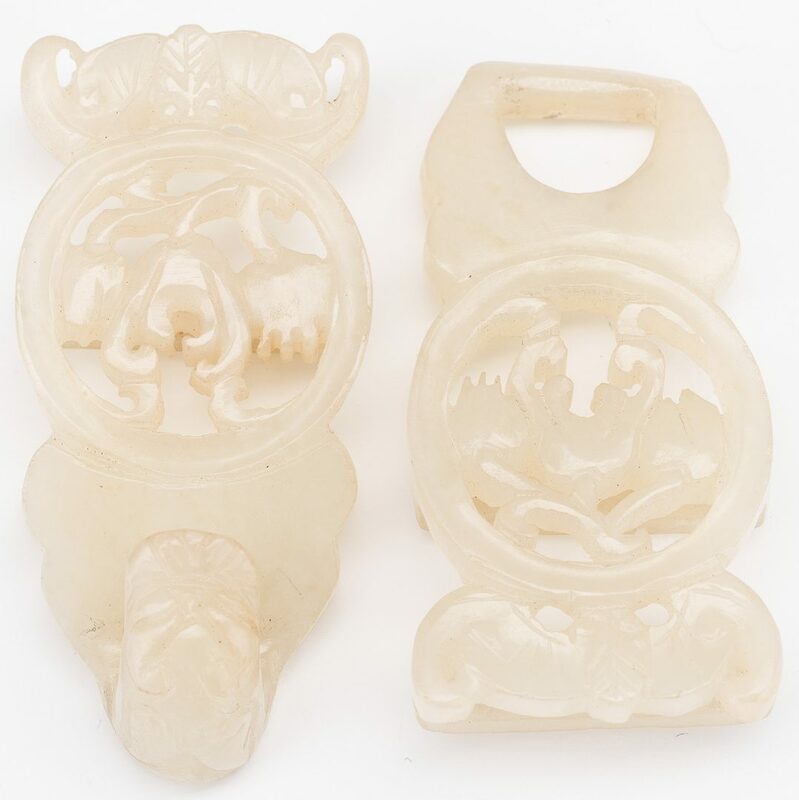 2" H x 4 5/8" W. 2nd item: Chinese carved pale celadon jade double belt buckle, pierced design with bats and scrolling flowers, chilong dragon hook. 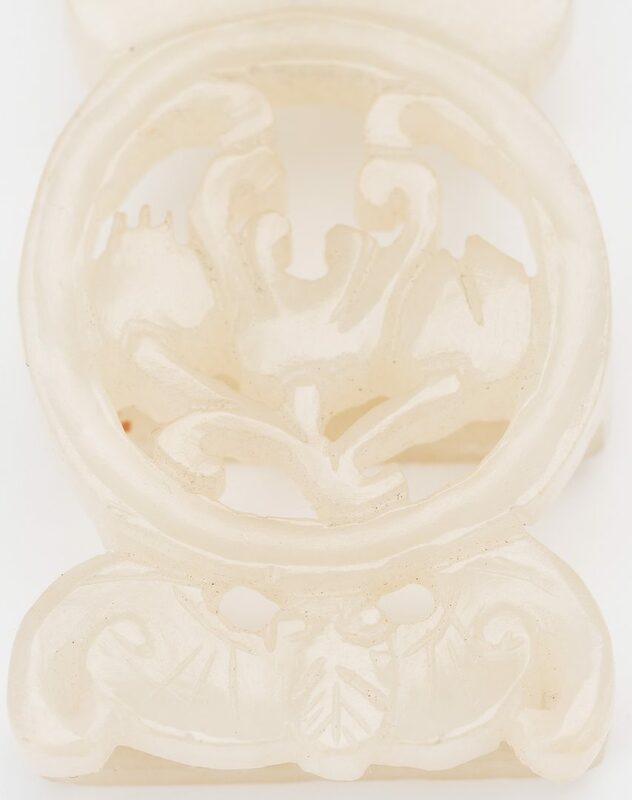 1 1/4" H x 4" W. Both late 19th/early 20th century. Provenance: Private West Tennessee collection. 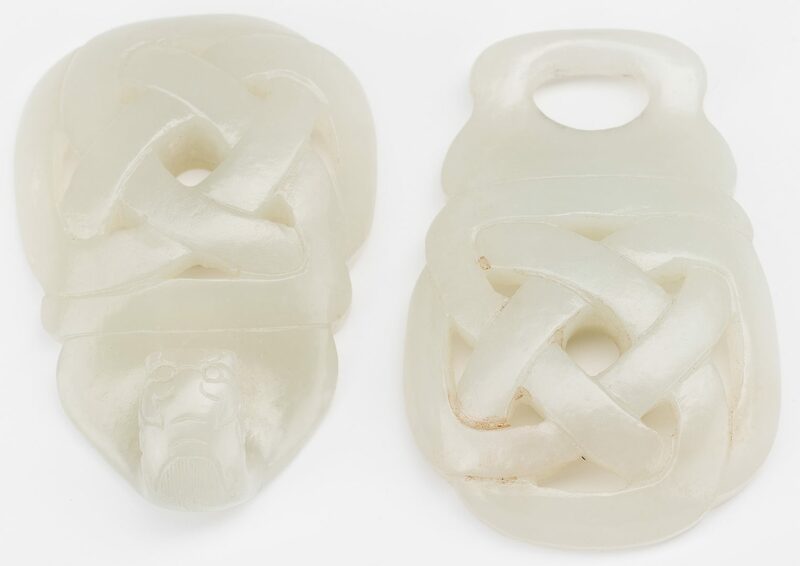 CONDITION: Both excellent condition.